While looking for a personal tour guide to Hualien and Taroko Gouge, we came across recommendation of 呂來福 from my trusted Tripadvisor Forum. 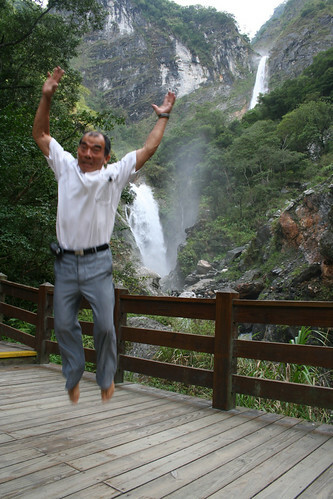 I gave him a call while I am back in Singapore and arranged for him to be our personal tour guide for in Hualien. On arrival to Hualien, Mr Looi personally pick us up from the train station and ensures that our accommodation is taken care of. 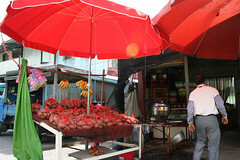 During our trip to Toroko, he bought us sweet potato ( purple taros) and banana along the way to Toroko. Knowing that there is not much good food in Toroko, he had us buy cheap lunch boxes in Hualien and eat them at a spot overlooking the gorge in Toroko . We enjoyed the time spend with him in Toroko. Throughout the tour, he is really friendly, energetic, talkative guy, and most importantly, all his suggestions were just right. He’s a true Hualien local, and really enthusiastic about the place; he offered his recommendations not only to us, but to other travelers who happen to be standing nearby. After the tour, he dropped us at a shop where we have nice Wanton soup for dinner. 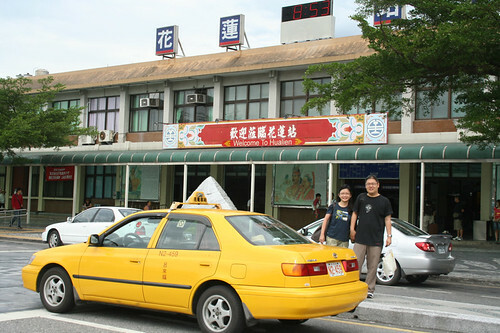 Before leaving us, he provided us an itinerary & route to take, so that we can try all the good food in Hualien. On our departure day, he picked us up from our accommodation and sent us to the train station. What’s make it so special, is that he makes the effort to board the train (don’t ask me how he manage to get on the train without a ticket) and ensure that we are on the correct train to our next destination – Jiu Fen. Mr Looi Buying Banana & Sweet Potato for us. Mr 呂 charge NT2200 for 2 person. If you want to go to Chingshui Cliff, there will be extra NT500.